There aren’t enough variations of A Christmas Carol *sarcasm* so here’s another one dubbed The Man Who Invented Christmas, directed by Bharat Nalluri (Miss Pettigrew Lives for a Day) exploring the creation of the widely celebrated holiday fable. Beauty and the Beast‘s Dan Stevens stars as revered author Charles Dickens (previously known for the beloved book Oliver Twist before penning arguably the greatest and most important Christmas story ever told), going through a writing career slump while continuing to deal with the falling out between him and his father (a subplot that is elaborated on with multiple flashbacks). 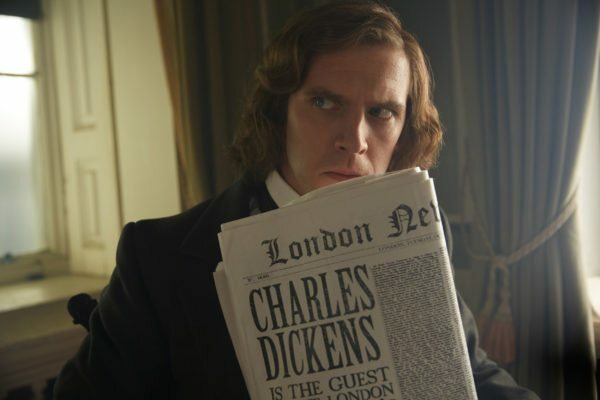 Aside from some mild family dysfunctions, the story showcases how different people and experiences in Charles Dickens’ day-to-day life become a source of vision for his classic, much of it all very cheesy and unlikely. It’s ok though, as The Man Who Invented Christmas is more of a children’s movie than character study on the famed writer. The plot itself unashamedly spirals into outright silliness as Charles envisions the characters of the story interacting with as he writes, providing him further encouragement. This grants us a great amount of screen time for Christopher Plummer’s fitting take on Ebenezer Scrooge, but also makes Charles look like a total psychopath to adults watching the film. There is a sequence where his wife Kate Dickens (Morfydd Clark) overhears a bunch of noise, shouting, and objects seemingly being tossed around Charles’ writing room, and I couldn’t help but laugh and wonder if she was regretting marrying this overly cartoonish spin on the writer’s block suffering artist. Due to the fact that Charles is essentially imagining A Christmas Carol as he figures it out for himself, the proceedings render The Man Who Invented Christmas as another retelling of the story. That’s all well and good as it’s doubtful kids want to watch a dramatic biopic, but it begs the question of “what is the point” if the film’s premise is going to be largely abandoned just to show us A Christmas Carol. 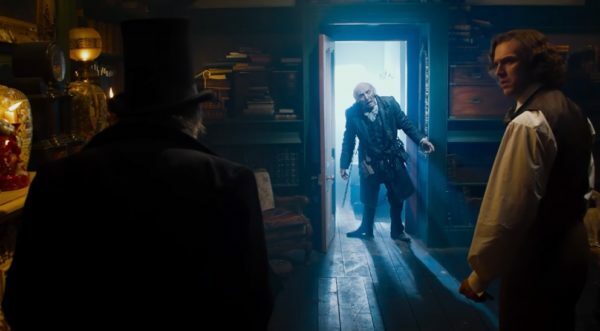 Not to mention most of the real-life incidents that inspire the story also feel cheesy; the extended sequence leading to the conception of A Christmas Carol‘s ending is quite over-the-top complete with a shadowboxing fight against Ebenezer Scrooge. It’s easy to appreciate the struggles of finding the right ending for a story being displayed, but it goes far too long. Even worse, the movie then goes through a few more ultra-predictable plot beats. 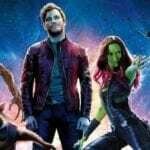 Still, it’s hard to completely trash the movie because, as mentioned, it’s not meant to be taken too seriously or examined harshly considering the lighthearted approach to the tone. 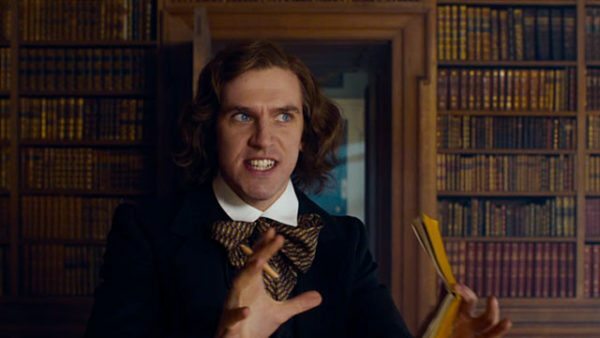 Dan Stevens is also a ball of whimsical fun in the role of Charles Dickens, charmingly sporting cheerful facial expressions and stagey hand mannerisms. It’s a believably spirited portrayal of a man who often wrote captivating stories about the poor accounting for his own experienced perspective, even though a disappointing amount of the population wasn’t interested in the realities of such sadness. It should also be noted that the 19th-century costume design is detailed and aesthetically pleasing to the eyes. The narrative’s tone may not be for everyone, but no one can deny that the movie has competent production values. 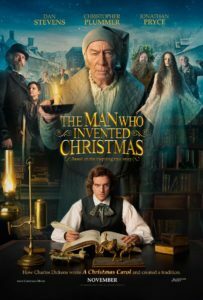 Unfortunately, the biggest issue holding The Man Who Invented Christmas back from a recommendation is that it doesn’t really add anything to the nature of A Christmas Carol, despite the film centering on its creative process. It loses its way and literally becomes another A Christmas Carol, so why watch this when one countless other and undeniably better adaptations exist? There is definitely effort put forth but it’s mostly a wasted opportunity to dive into the mind of Charles Dickens as a father, husband, and caring citizen.